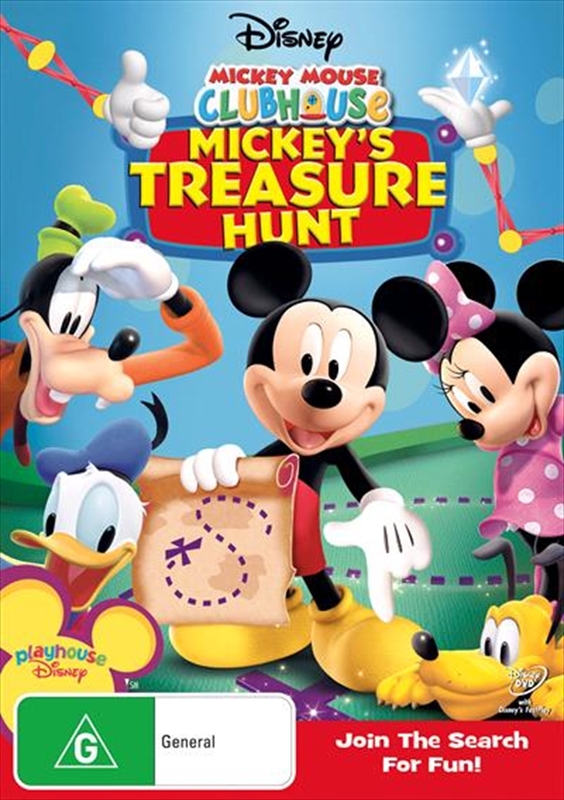 Join the search party and get set for the ultimate game of hide 'n' seek, as Mickey and his pals hunt for hidden treasure! "X" marks the spot when Pluto finds a mysterious map. Now it's up to you and the whole Clubhouse gang to follow the clues and pick the right mouseketools to locate a secret chest full of stickers, goodie bags, toy jewels and more! You'll discover that when good friends work together, problem solving is no problem at all! Sparkling with laughter, songs, and adventure, this fun-filled gem about friendship and teamwork.